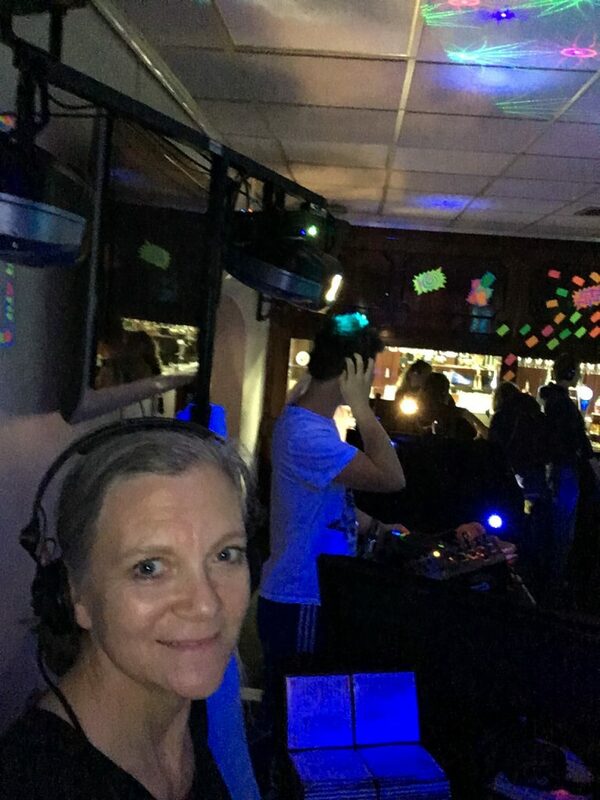 I was invited to provide both equipment and DJ services for Silent Event for a Silent Disco at Haverfordwest. It was such fun for both DJs and participants. We had a channel each, and each channel was represented by a coloured light on the headsets as dancers tuned into respective channels. My channel was red. I started out assessing the age group, and played predominantly dance music from 00’s and 90’s. Near the end it seemed appropriate to turn to more rock and pop music. This was the point when my followers began to increase. The spread of followers was pretty constant and diverse between the three of us, but by the end a majority were following me. I would thoroughly recommend this method of pleasing more people for more of the time!